Creating an itinerary sample file from scratch is unnecessary. 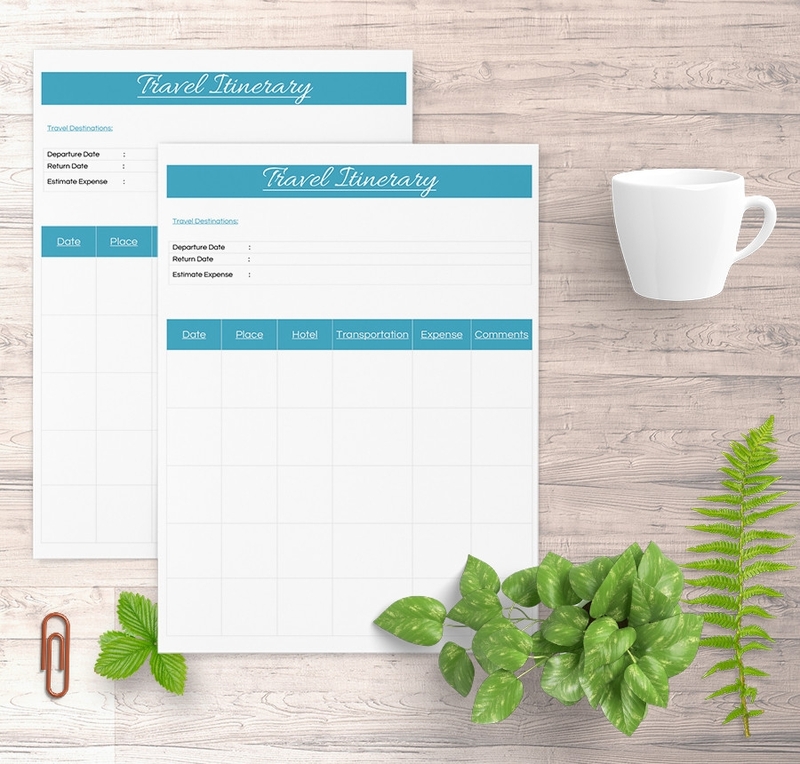 Now you can download high quality, free templates sample files and use them to plan your trip. At www.sampletemplates.com we put more value on your time and money, which is why we have created these same files for you so that you can save these two resources. While the web has many itinerary sample files, more than 80% of the documents often have inconsistent design patterns, which make them difficult to use. Our designs are of high quality, professionally designed, and ready for print. If you travel daily, whether for business or personal fulfillment, you should always make the necessary travel arrangements before you go out. You can use this sample document to plan your trips. 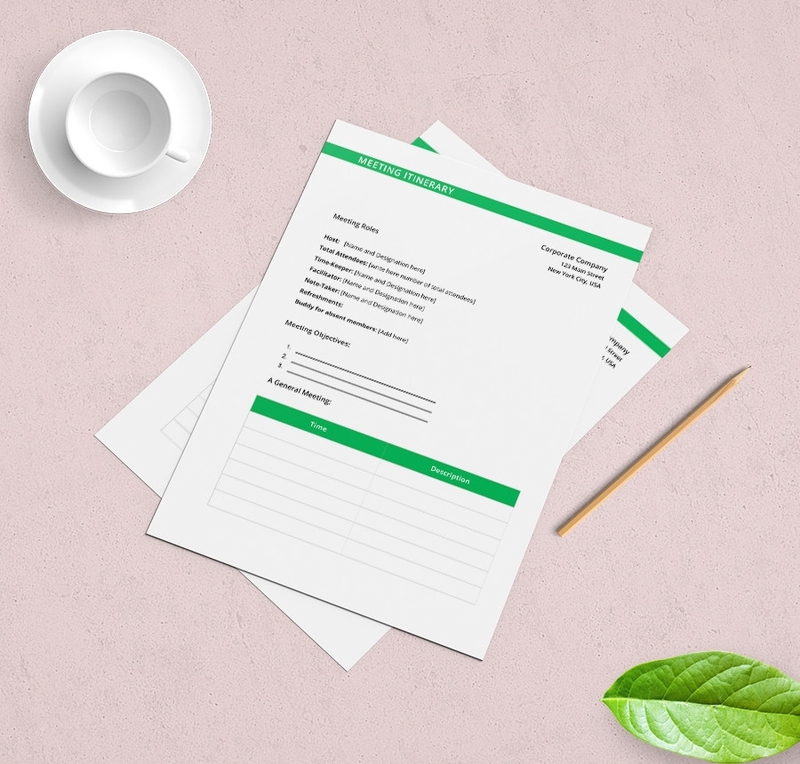 If you will be traveling for a meeting, you can use this document to make a small arrangement for the event. The sample file will help you to get ready for the meeting by eliminating all the inconveniences possible. Whether you are going on a long-term vacation or just a to and from trip, planning for the event is necessary. Using the itinerary will enable you to spend your money wisely. Make all the arrangements necessary before you ignite your engine to go out on the trip. 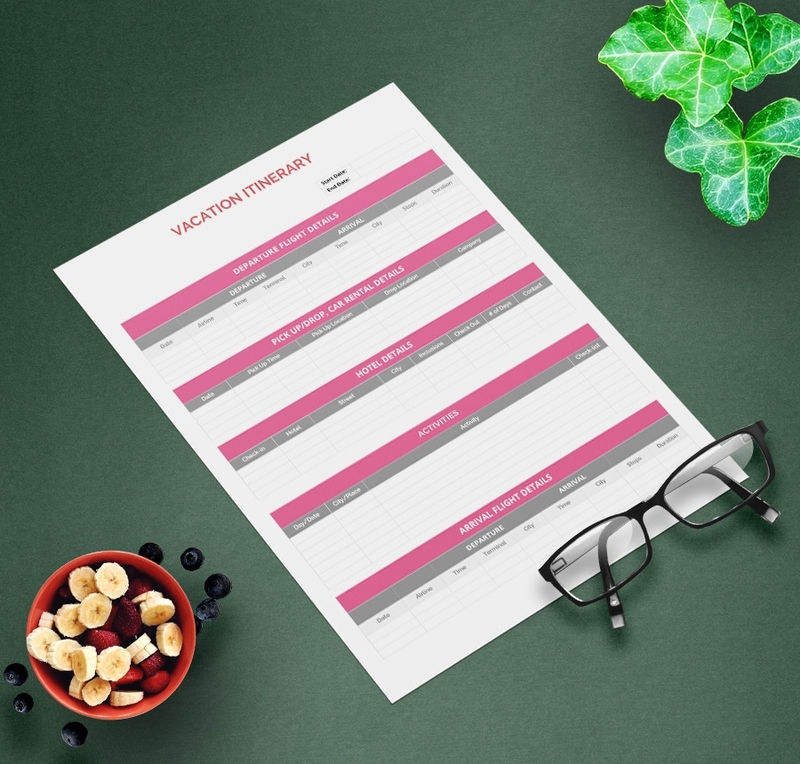 You can use a custom itinerary trip template to plan the entire event. 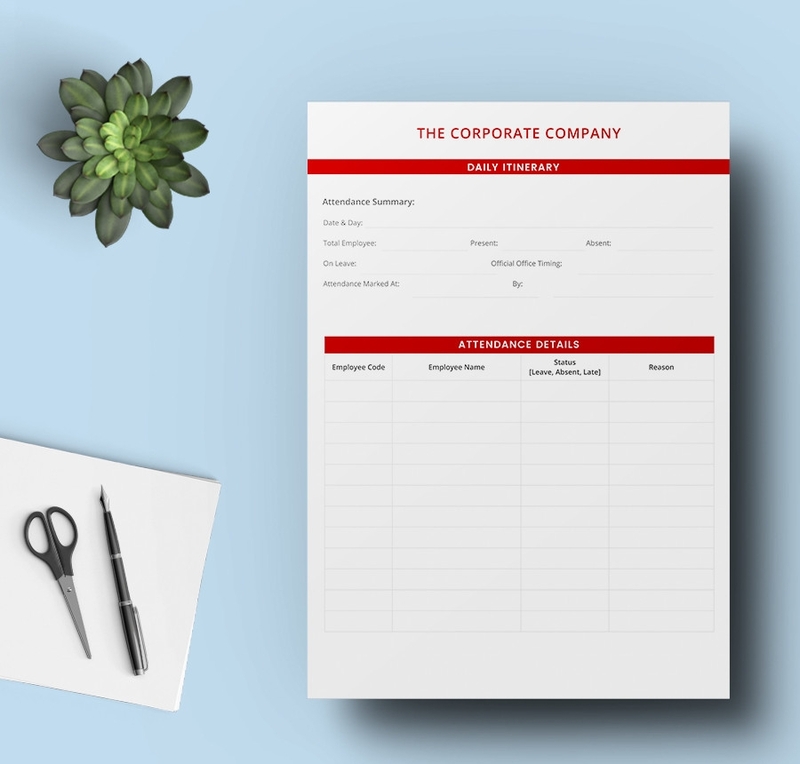 Download this template for free. Now that you have time to go for a vacation, what will you be doing? The best thing to do before going for a vacation is to plan for the trip using the vacation itinerary Sample. 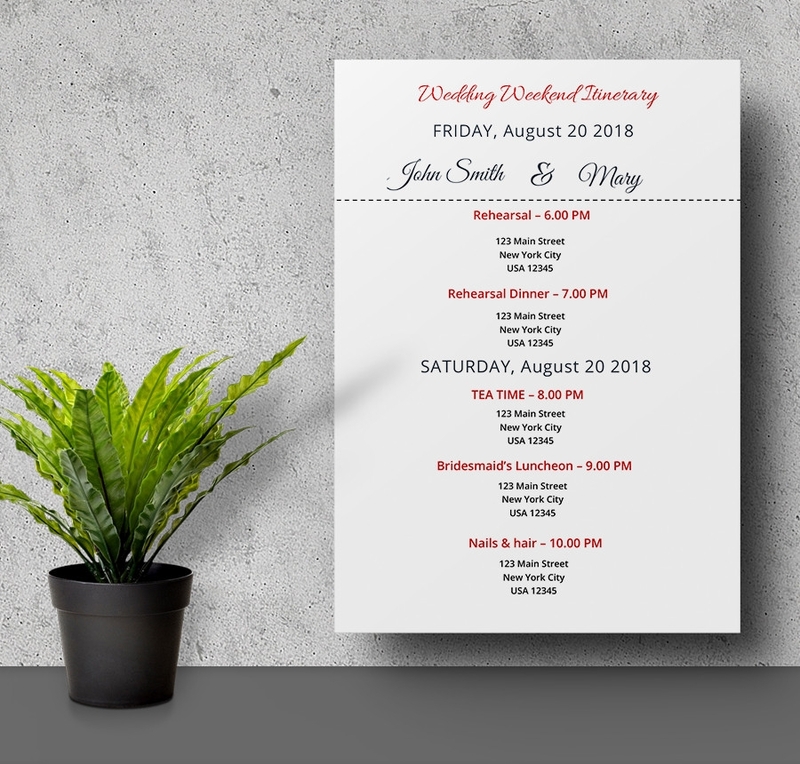 The primary reason for using the itinerary template for wedding preparation is that there are always people who travel from one place to another to make the event successful. Therefore, a wedding itinerary sample is necessary. A sample itinerary file is a document used to make travel arrangements. It is always important to plan your travel before you embark on any trip. That easy, you can spend right without worrying about travel budget constraints. Ultimately, individuals and companies cannot without itinerary documents. 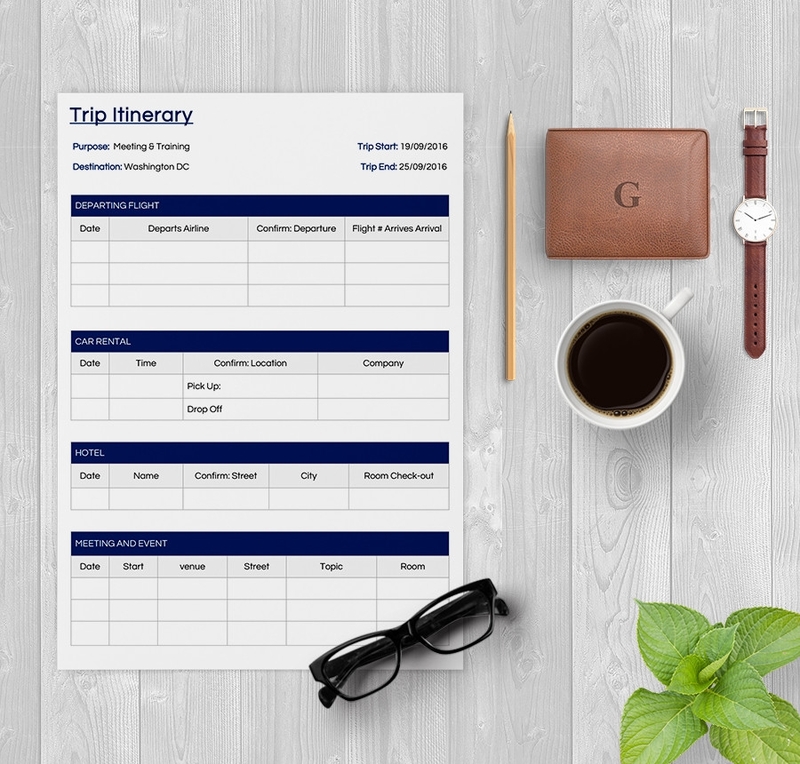 As long as you intend to go for a trip, be it a back and forth travel or a lengthy vacation, itineraries are necessary tools to add to your plan. However, what exactly does this involve? It is simple: you print the document, and then write your travel plans. The same itinerary files from www.sampletemplates.com have many advantages. You probably already know of the many templates with inconsistent design patterns, and you know how hard they are to use. These are different. They aren’t just forms with input fields. They are property designed, so they have the perfect spark of visual impression, making them relevant for personal and professional use. The sample files are free; you no longer have to pay a dime to download a sample file that you like. All you need to do is download the template with the click of a mouse, and then use it to make your travel arrangements.